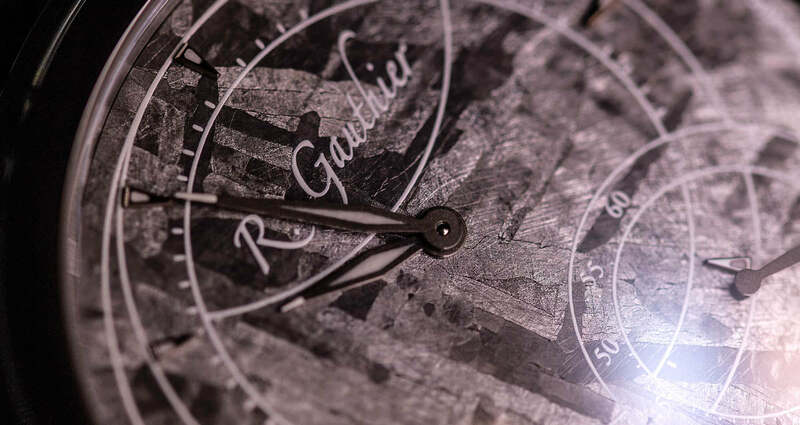 Romain Gauthier is a Swiss independent watch brand based in the Vallée de Joux. 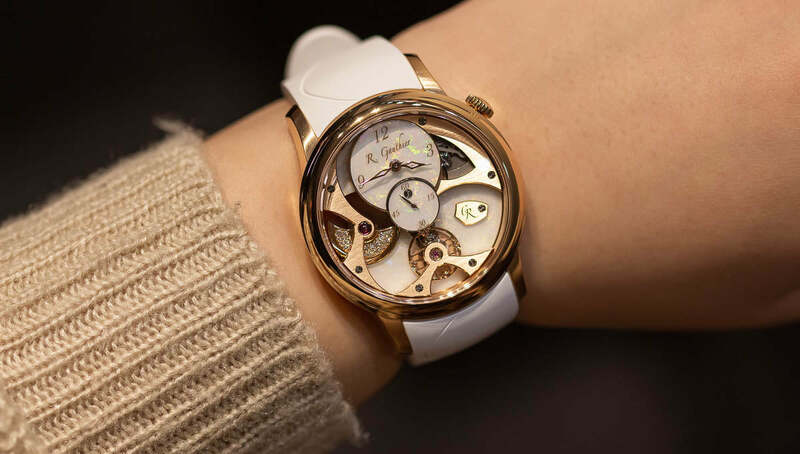 Named after the owner and founder, Romain Gauthier creates haute horology timepieces that blend Romain's appreciation and understanding of mechanics and watchmaking with incredibly-designed watches, creating a unique and appealing balance. The movements of his watches are very much a part of each models beauty. 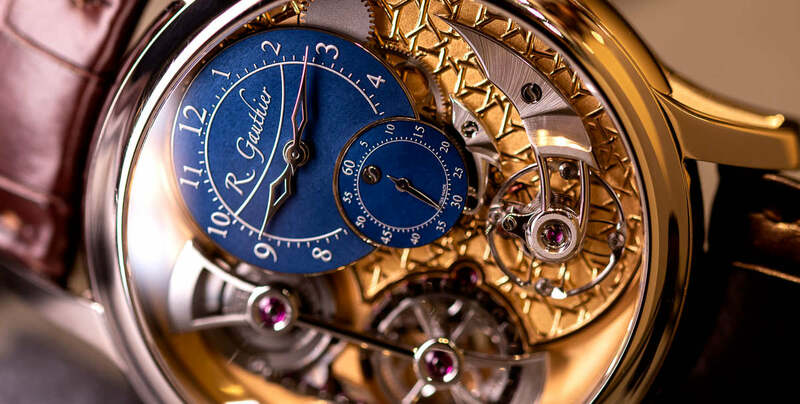 Romain Gauthier makes and finishes virtually all the components for these movements in house. Grab a coffee, put your feet up, and enjoy. So, Romain, you’ve recently added a stainless steel watch to your range in the form of the Prestige HMS Stainless Steel Henbury. Where do you see the stainless steel model sitting in your range? How does this compare to models in your range that are made from other materials? Stainless steel is something I wasn't the most excited about using for watches. For me, a cheaper price is normally expected with a stainless steel case. If you see our price list there is a small difference between the titanium and the gold models. I’ve always considered our collectors since the start. It has to have the right position. It’s just a matter of the price of the metal, so if you consider 80g of gold should it be 30,000 - 40,000 more expensive? No, there is no reason for that. Our titanium is expensive because the value is the entire watch, not just the metal. If you apply the same thinking for the stainless steel it will be the same price at titanium. It’s interesting to see you began working with titanium before stainless steel? Why are you a fan of titanium? There are two main reasons. It's light and you cannot have an allergy to it. Some people get an allergy with stainless steel. Titanium is so much more advantageous if you want to switch from precious metal to something different. Titanium speaks a lot to me. What do you think was the deciding factor in you beginning to work with stainless steel? How much did the use of the Henbury dial persuade you into using stainless steel? A few years ago for a Japanese collector we did a Logical One in steel. 1 of 1. I said to him ‘I’m not going to do another’ so we had already done one. And for me, I appreciate stones. My father collects stone, he has maybe 150 stones and minerals so its things I'm aware of. My son is the same, he has a collection. However, Henbury meteorite like this is not easy to find. We can find it sure, but not easily. To find small fragments of Henbury is easy, but to find a beautiful plate that we can use to make dials is much more complicated. The meteorite spoke to me for its aesthetic. It's amazing how it looks, it moves with the light. How much is involved in turning a piece of meteorite into a watch dial? The meteorite dials cost me more than an enamel dial. People think it's not expensive. No, the Henbury is really expensive and costly. 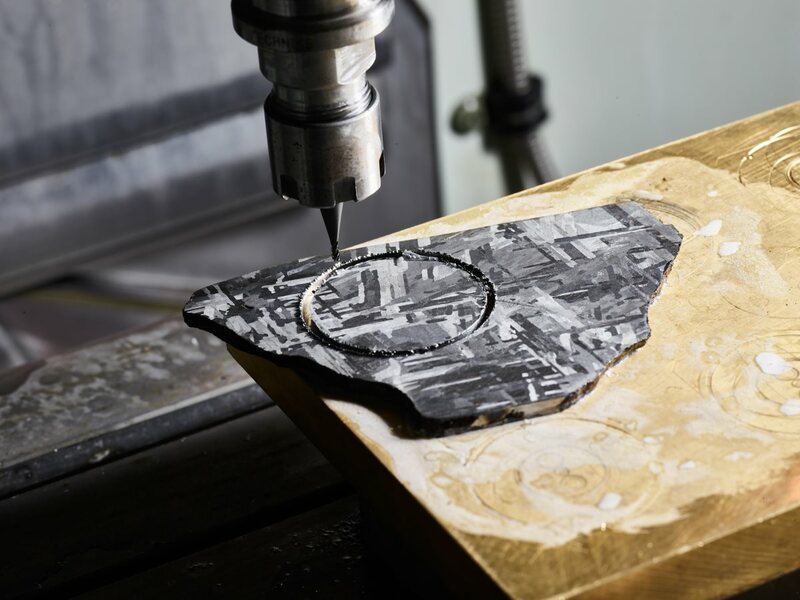 After that, the issue is then in the machining of the dial. The problem is about strength and tension. When you’re machining it moves. For every three dials worked on we only get one usable dial. It’s a process. Now we have begun using Henbury meteorite maybe a few other brands will try. Henbury may have another life. Not only do you have the new Henbury here, but you also have this very special Logical One. Could you tell us why you have gone for a baguette diamond set addition? Unfortunately, people might call this watch ‘bling bling’. I think that’s because it was a trend with US rappers, for example, to show off your wealth through your watch. However, for me, this is one of the most beautiful stones you can have it's a wonder to see pieces like this. People might say it’s ‘bling bling’ without considering that it is a piece of art. The stones and the case will still be here in 1,000 years. It’s a treasure. I use these stones because I’m attracted by their beauty. I don't use them for commercial reasons or because it’s ‘bling bling’. And how many examples are you creating? It’s a piece unique. We may do a different execution down the line, but we will never do one like this again. Yes, of course, our collectors are waiting for this. Exclusivity isn’t just about being unique but also about something not being easy to find or see. 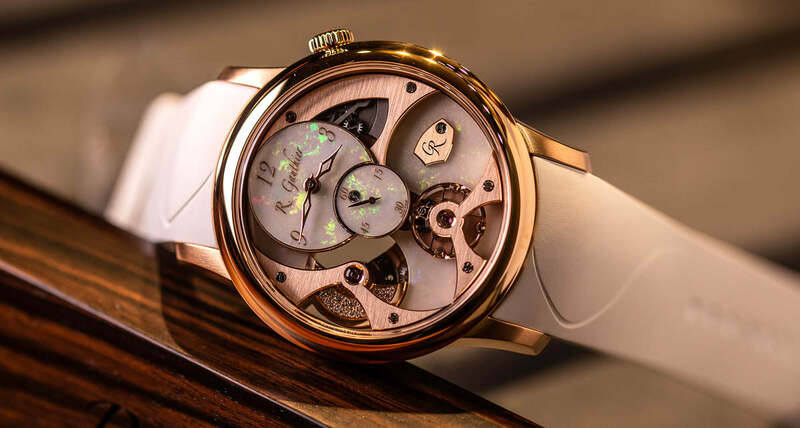 We’ve talked a lot about the latest developments from Romain Gauthier I’d like to briefly talk about the beginning of your life. 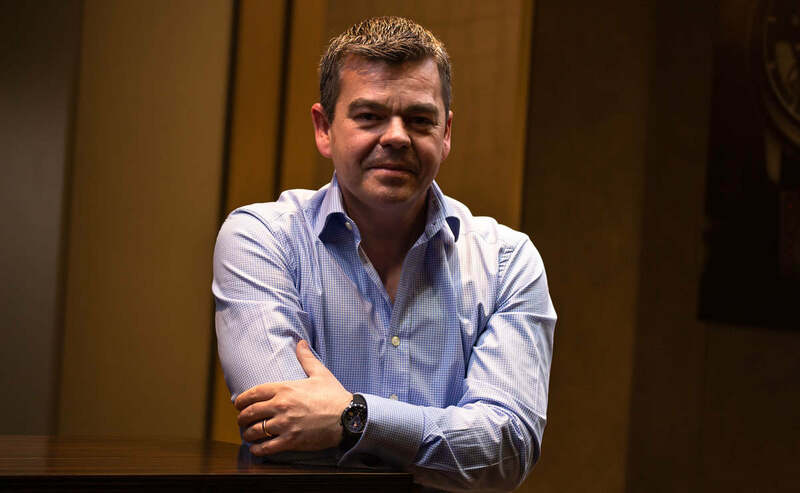 What impact did horology have on your early life and subsequently your career paths? The story is long, but I was born in the Vallée de Joux. Lemania was right in front of my school growing up. I always saw pictures of Breguet, Audemars Piguet, Jaeger Le-Coultre watches so I couldn’t really avoid this industry. When I was young I wasn't dreaming about this world, this is why when I started to think about work I thought about my love of music. I went to a technical school in the Vallée which gave me the possibility of mechanics, electronics, watchmaking, jewellery and drawings skills. I chose electronics because I wanted to create my own speakers and amplifiers. After 6 months, however, I discovered it wasn't me. All I would do is click a button and things would or wouldn’t work. To me, electronics was too abstract. Luckily I started working with mechanics.I really enjoyed things such as machining, so I stopped electronics and followed mechanics. 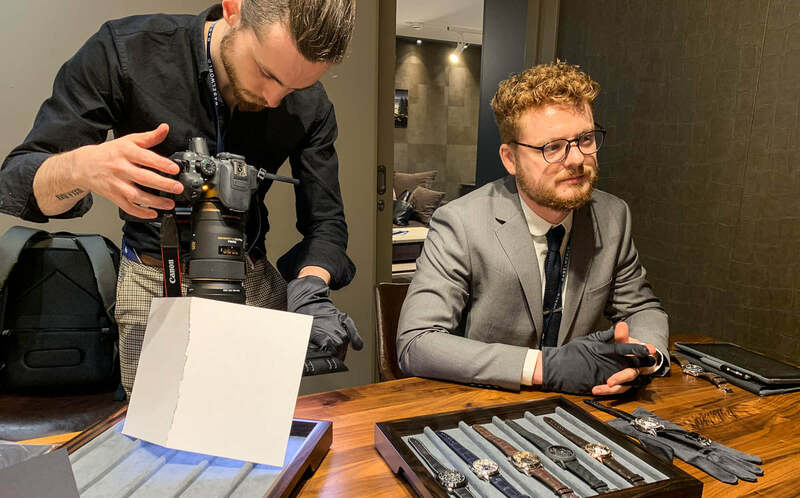 And at what moment did you decide to move in watchmaking? 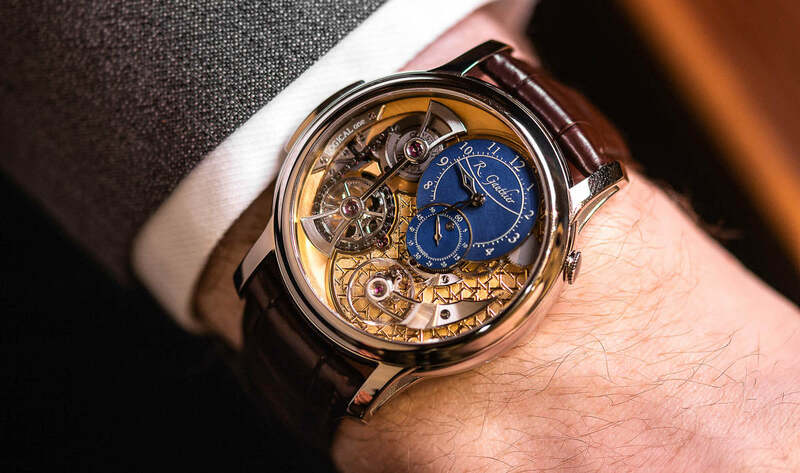 At the moment you have focused on just time only functions to your watches - do you have a desire to create more watches with more complications? For me, a good example of how I feel about this is our Insight Micro-Rotor: We can do beautiful things without necessarily thinking about complications. I like complications but before going to a perpetual calendar or chronograph there are so many things that can be made from another point of view.I'm really attracted by aesthetics and the visual dimension of watches. There is no point having 10 complications in your collection if the watch looks like everyone else’s. I like structure, three-dimensional things. Our watches are finished in a way people appreciate, people turn our watches over and say ‘ah yes this is nice’ and for me, that was the thinking. 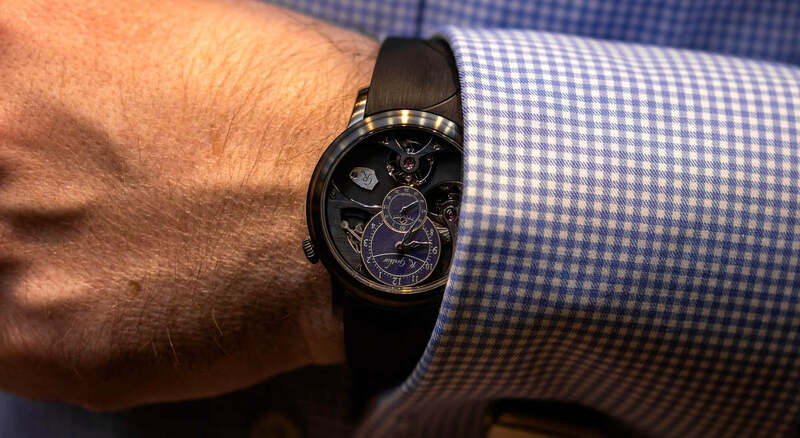 I said to myself ‘Romain, your collectors will enjoy many aspects of watches, not just to see the time but also to see what is on the back and top'. When you look at it, you can see the time but also enjoy a visual pleasure. You will see in the future we will do different things, complications that aren't necessarily what everyone thinks. A lot of people think about complications for a function. You will see in our next one, it is complication by another point of view. That will be impressive. Wow, that sounds exciting. Any more information you can tell us at this moment? We are a manufacturer. We are able to produce 95% of the parts for every movement, which means we will use that skill. 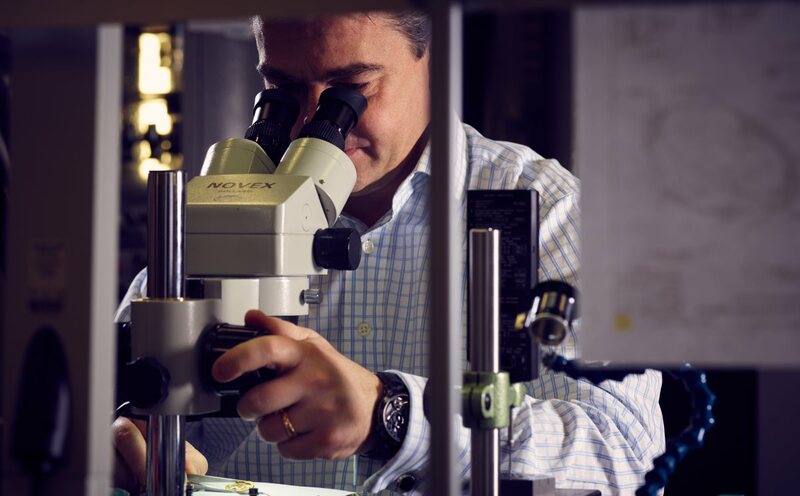 We have made some of the most complicated parts seen in the watch industry for other brands so we have certain skills and knowledge which you gain if you take on the challenges. You will see, the next project, Logical Two, will be another vision in terms of thinking outside of the box. That is my philosophy. Logical One is based on constant torque, Logical Two is based on another complication, thinking outside of the box. 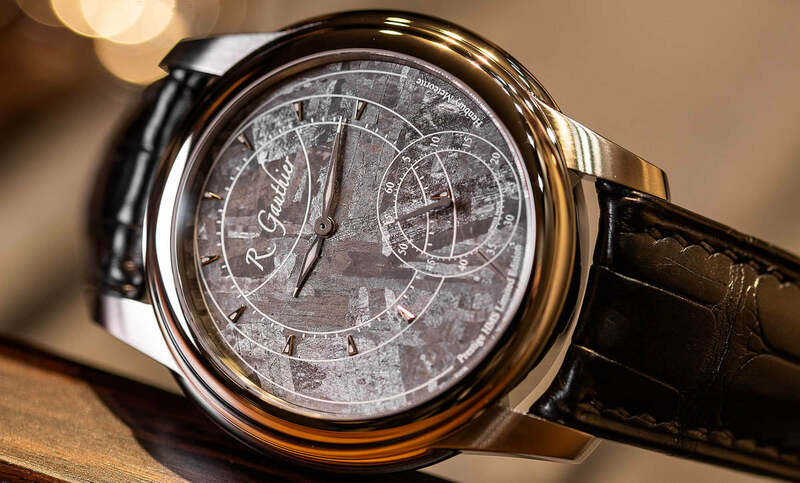 Thinking outside the box seems to be a big part of Romain Gauthier. I like to do this. To answer your first question about why we don’t have more complications, it’s because of my background. 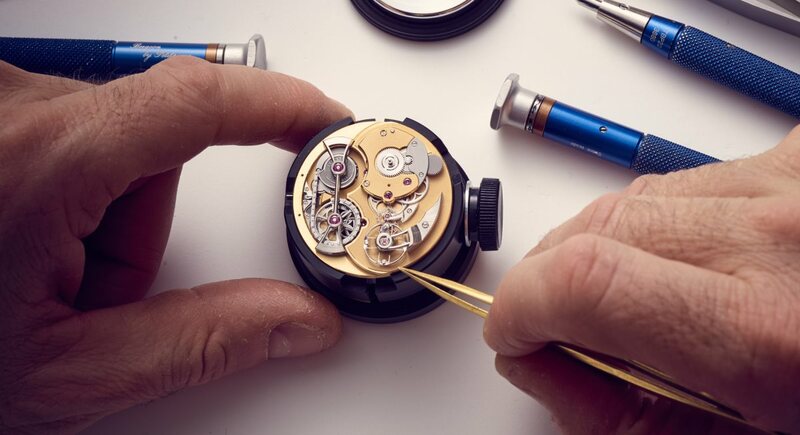 I learn step by step, I try not to do the same as everyone else and this is probably because I didn't train as a watchmaker but as a precision mechanic. A chronograph has to be like this, a perpetual calendar has to be like this. Me? I learnt step by step, but I understand mechanisms. I have a totally free mind to think about complications because I didn't learn about them before. I can combine that with my knowledge of how it works, then I can add a different point of view. 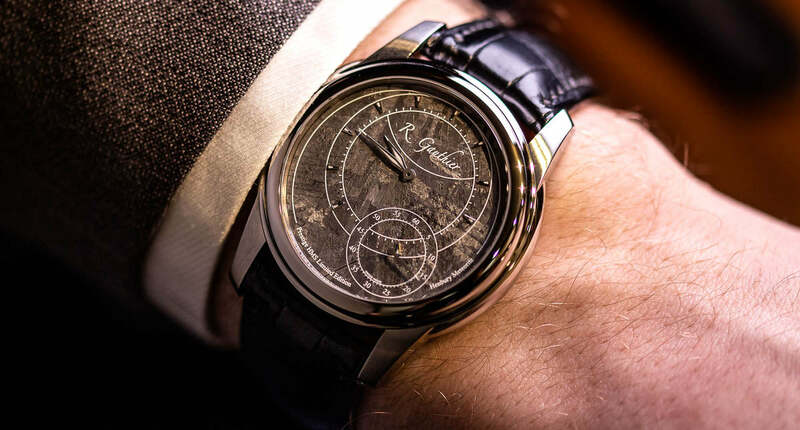 Collectors are waiting for different points of view, they’re not necessarily waiting to have another perpetual calendar made the same way just because the dial and case are different. The same thinking from brands doesn’t seem to be so attractive to serious collectors. I think this space is good for us independent brands. The way we are different is related to the free thinking that I have. No one says to me ‘we have to develop that for next year, we have to do that, you have 6 months’. No way. When you have time, you can do something great. If you always have a target date you need to deliver by you never achieve the max you can do, this is one of the points we have when we talk about niche or small brands. You need to have a certain process, knowledge, passion and creativity. Exactly, and then after that its matter of time. 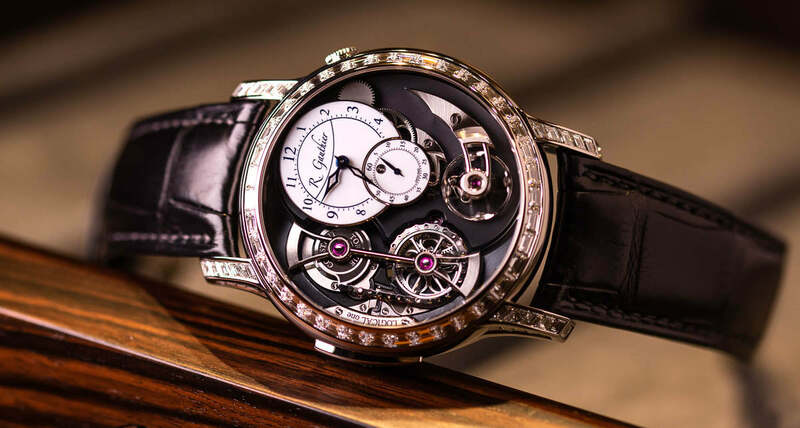 How did they create an incredibly thin and small tourbillon cage 200 years ago? The answer is simple. It took maybe 2 weeks to develop just the cage. There was no other pressure, they just did it until they were 100% happy. We lose this when we focus on quantities: We don’t give ourselves enough time to do it. 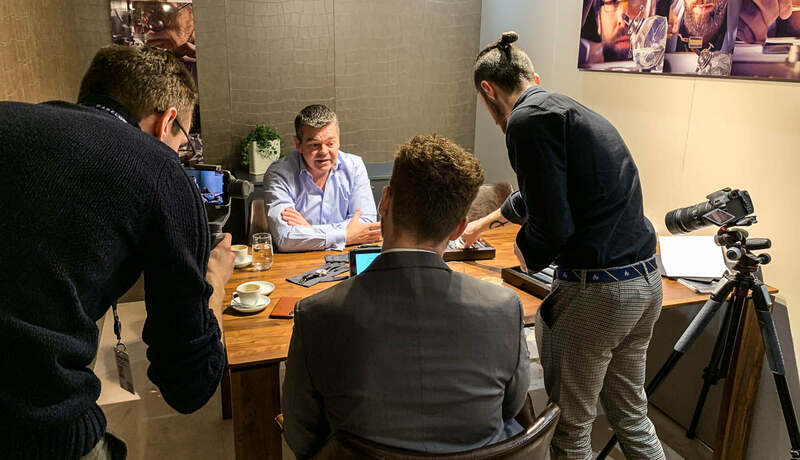 This is why we’re a team of 27 people only producing 60 watches a year, we are more in line with how watches were made 200 years ago but with 21st-century technology. Next year you will see how the next project is related to that. Can’t wait! And finally, bringing it away from watches for a moment, I hear another passion in your life is cars, what are some of your personal favourite cars? In terms of modern, I like the Mustang GT350. For me, it is the American dream. One of the most beautiful, especially the 2018 model. 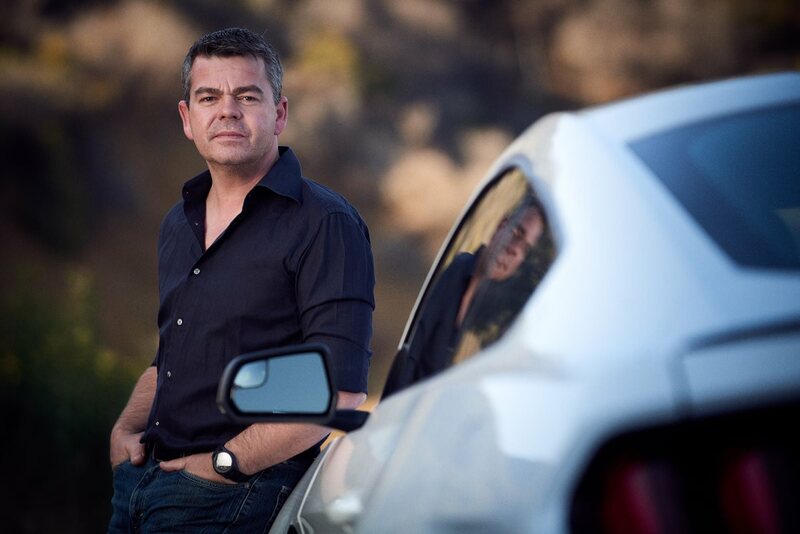 It is a pure adrenaline car, it's not the fastest or most powerful, but it's sensational. Exactly, And of course supercars, I love McLaren. McLaren is my brand, the 600LT this is purely the one I will get. I like Ferrari, but I have more of an understanding of McLaren because I have been to the facility to visit, it was really impressive. When I was young, classic cars really appealed to me. Corvette 67, 68 for example. Today not as much. I think it will come back but I'm not necessarily following the trend. I don't know if it’s a trend but the price is crazy, it's starting to be irrational. Sure you can lose more money on modern cars, but my vision is like our collectors’ vision: You buy something because you like it. If you buy because you like it, why are you thinking about the future value of it? You will keep it. One day I will buy both GT350 and McLaren and I will keep them. I will never think about future value and I will give them to my children. I’m more on that level of thinking: We have to buy things we like. 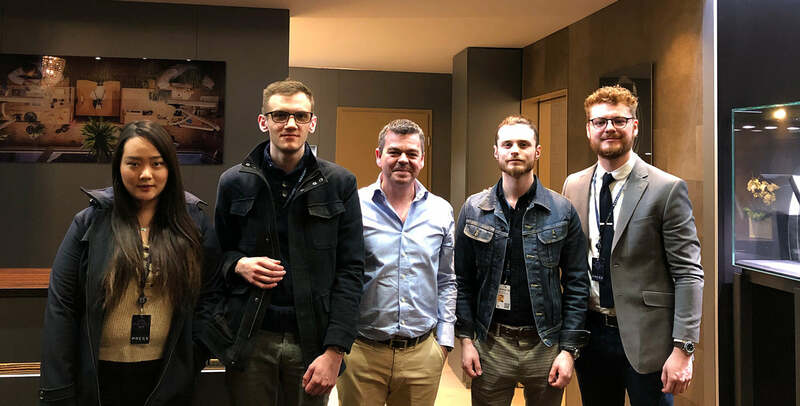 Thank you to Romain Gauthier, Steven and of course the wonderful team for not only discussing the latest watches with us but also spending the time to have this chat. We look forward to the next one! 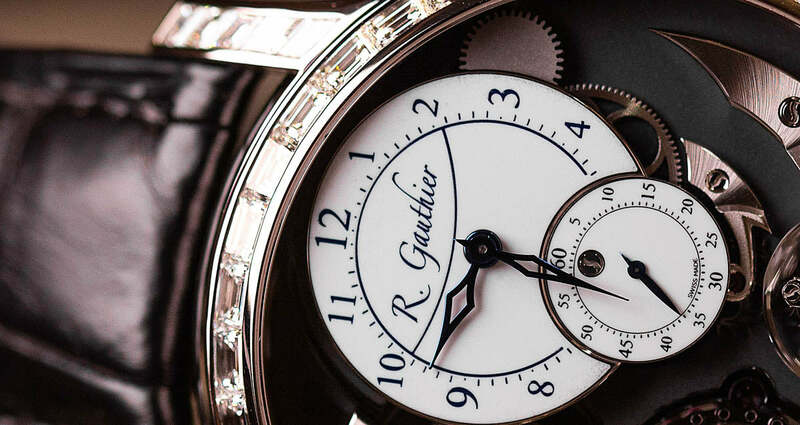 You find out more about Romain Gauthier and his stunning watches here.